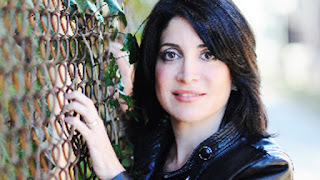 She is a former "goth" girl, a soccer mom, career coach and an avowed introvert who transformed herself to become a successful dual CEO of Consultnetworx™, a consulting/staffing firm and Speednetworx™, a B2B speed networking event company. Her companies are focused on connecting people for mutual fit and success. As someone who always preferred solitude and time for reflection, Gail struggled for decades with social interaction, small talk and networking; but knew she would have to master these skills to reach her goals. When Gail began to focus on others instead of herself she saw her opportunities skyrocket. During her 20+ years as a staffing strategist, Gail has coached thousands of job seekers and discovered a startling truth; that those with the strongest networks and the most generous spirits always landed the best jobs in the shortest amount of time. In fact, Gail credits her own success to her mindful giving of care, compassion, and guidance in all areas of life. In other words, she's living proof that Networking Karma works! And now, to fully live by her beliefs, Gail is sharing these secrets with her readers in her first book, Networking Karma. Amidst the shrinking job market, Tolstoi-Miller's innovative approach to business and life has singled her out as a resource in her field. She’s frequently sought after by many media outlets, including Forbes, FOX Business, msn careers, and others, where she shares her ideas on networking, recruiting and the job market. Gail has received the NJBIZ Best 50 Women in Business 2013 award as well as the Diversity.com Top 2014 and Top 2015 Business awards. She was also named Leading Women Entrepreneur finalist, and selected as a finalist by Enterprising Women of the Year 2013. Gail has a Bachelor's from NYU. Connect with Gail on Facebook and Twitter. Find out more about Gail at Goodreads. Are you Awkward? Uncertain? Even jittery at networking events? Author Gail Tolstoi Miller, an award-winning entrepreneur and successful CEO, feels your pain. In fact, she spent years experiencing the same emotions when networking. An avowed introvert, Gail discovered a powerful and universal law of connecting, she calls Networking Karma. And when she embraced it, Gail put those anxious, apprehensive interactions behind her to become a career coach and owner of a networking event planning company. 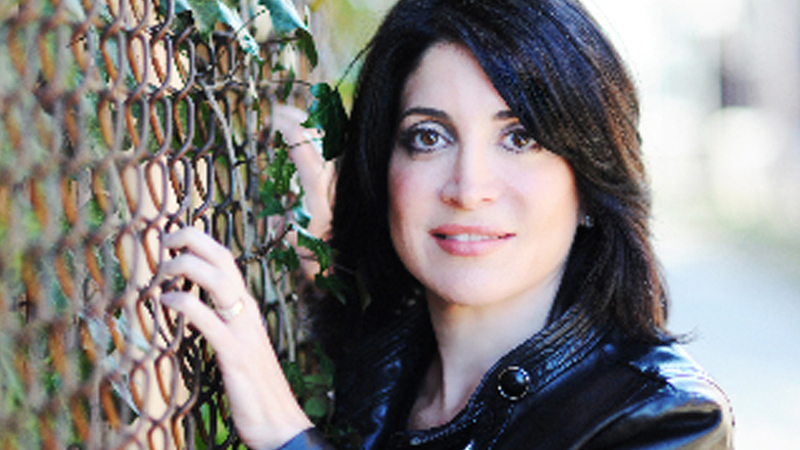 Now, Tolstoi-Miller shares her secrets with you in her new book, Networking Karma. If you are trying desperately to get past the constant inadequacy you feel every time you try to attend a networking event, this book is for you! Throughout this book, you will explore dozens of essential and specific Networking Karma to-do’s; powerful ideas you can implement immediately. Shared by some of today’s hottest thought leaders, speakers and business trailblazers, these proven tactics are absolutely essential to getting the edge you need to succeed in business and in life. Read Networking Karma and integrate its law and lessons into your life. No matter how introverted, shy, awkward or uncertain you are when it comes to networking, you’ll get past your sticking points and see your relationships--and dreams--take shape. Networking Karma is available at Amazon. I’m a very busy mother of 2 boys. I’m also a CEO, award-winning entrepreneur, career coach and staffing strategist. This book is my first attempt at writing! The most pivotal point was just getting started; putting my head and heart into it 100%. I am already thinking of my next book! It would be wonderful to find a serene, peaceful place to write. Some place that is warm, with both scenic and spiritual energy. I envision a Buddha statue or temple. Perhaps in China or Thailand. This kind of environment would inspire me, help me tap into my intuition and that would optimize the process and outcome. I would spend some extra time with my family, do more career coaching (because it is so satisfying helping job hunters) and I would schedule in some yoga. 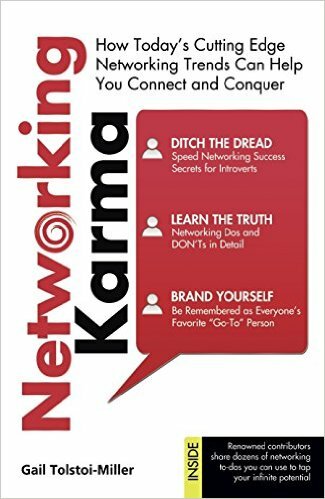 Back to your present book, Networking Karma, how did you publish it? The book is self-published. I worked with Ingram Sparks. More than 20 years of personal and business experiences went into this book. It is the culmination of thousands of job interviews, hundreds of coaching hours, countless networking events and business situations, and a lifetime of observations. Why was writing Networking Karma so important to you? As an introvert, I had to overcome many personal dispositions to become the best version of myself. I did this by discovering a mindful approach to living; one that believes each chance meeting and budding relationship is an opportunity to inform, assist, advocate or connect others. I believe embracing this spirit of selflessness is the key to building a professional and personal fan base; one that ultimately returns kindness in unknown and awesome ways. I wanted to share my journey and my discoveries so others can be happier and more successful. I reflected on my journey in business and in life. I also enlisted the help of some of my business connections, super-hot thought leaders, speakers and business icons who provided their viewpoints and expertise on what is needed to succeed in business and in life. I reached out to these contributors to show how important it is to have a powerful network. I couldn’t have written the book without these connections. Also, many of my best ideas are when I am alone in the shower or very late at night when I am able to think without distractions. There are a lot of networking books that provide tips and to-dos to help readers become better networkers. The truth is, most people buy these books and never do the things that the author recommend. Why? Because of fear. Fear of networking. Fear of failure. Fear of the unknown. I address this fear in Networking Karma. With some self-reflection and visualization exercises, readers can get past this fear and start putting the book’s unique content to work for them. In addition to dozens of tips, secrets and to-dos, which I share from my personal experiences, the book features guest contributors who are industry powerhouses. From the world’s foremost authority on body language to a fashion industry icon; from an insanely popular LinkedIn Makeover expert to a master storyteller—and more—their help and guidance is found in the pages of Networking Karma. I truly believe this abundance of insight, ideas and inspiration will help readers connect and conquer anything!